Vintage Old Postcard. Africa, Nigeria. 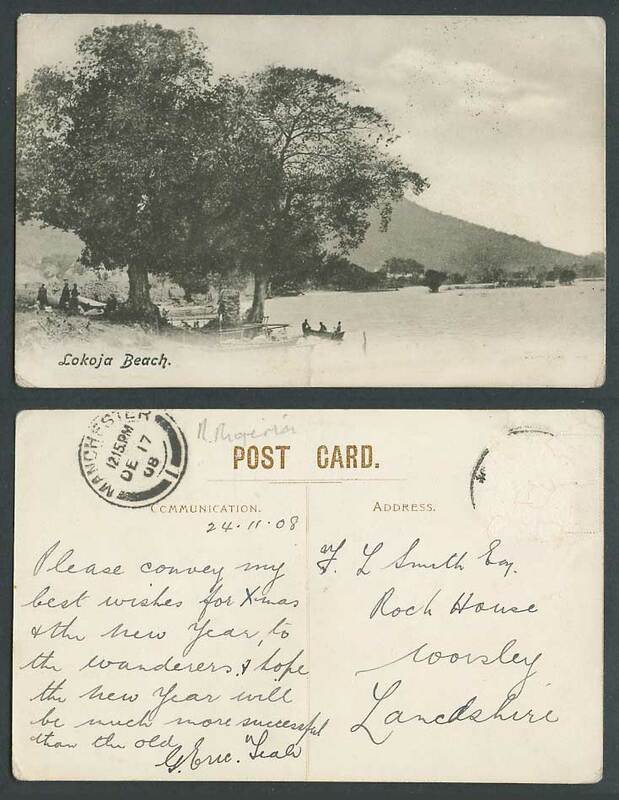 Lokoja Beach, Seaside Panorama, Quay, Boat, Big Trees, Mountain Hill. Panorama. 1908. Background: Lokoja is a city in Nigeria. It lies at the confluence of the Niger and Benue rivers and is the capital of Nigeria's Kogi State.